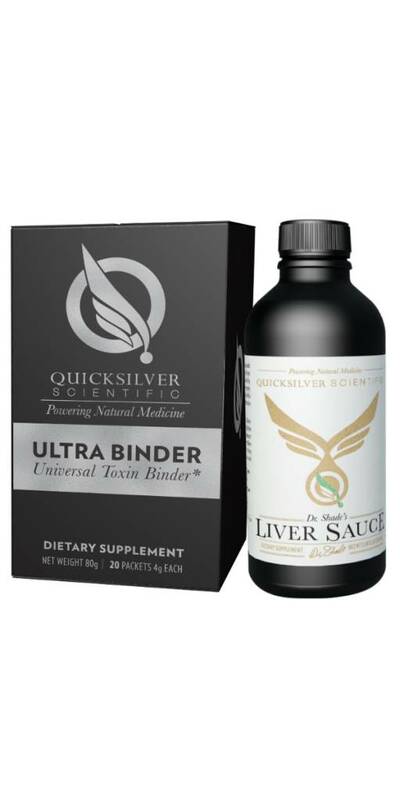 Ultra Binder: Ultra Binder, Natural Toxin Binder is a detoxifying combination which targets many kinds of toxins including metals and endotoxins, which reside in the gut and helps remove them from the entire body. Dr. Shade’s Liver Sauce™: This premier liver support formula simultaneously supports all steps of a carefully executed detoxification program. Dr. Shade’s Liver Sauce™ contains four drainage botanicals. These botanicals all have potent effects on bitter receptors. The formula also contains phytonutrients that control inflammatory responses and supports the liver’s detoxification processes. About liposomes: Liposomes are tiny vesicles containing nutrients or detoxification agents. They are made from lipids - the same organic material that cell membranes are made of. 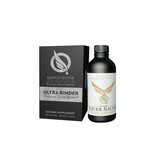 This allows the detoxification agents to absorb directly into the body and into the cells, beginning in the mouth. Although liposome products are delivered orally, they have uptake levels similar to delivery of nutrients and detoxification agents would have if they were delivered directly into the bloodstream. Other ingredients: Ethanol, Glycerin, Water, Vitamin E (as Tocofersolan and Natural Mixed Tocopherols), Medium-Chain Triglycerides, and Acacia Gum.